If you were planning an expansive, open-ended trip to the other side of the globe, how would you spend your last days at home? Tying up loose ends? Buying supplies? Saying goodbye to friends? Triple-checking your passport and flight details? If you were Eric Nichols you would be raising money for a treasured hometown organization. 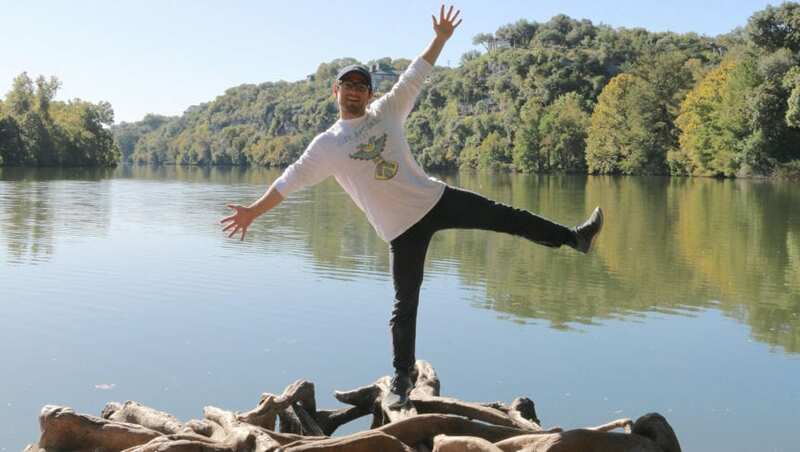 This past January, two weeks before he would leave the country for an undetermined time, Nichols created a Facebook fundraiser to benefit Austin Parks Foundation and all the parks he loves. Raised in Atlanta and Dallas, Nichols came to Austin to study advertising at the University of Texas. He spent his free time outdoors, particularly at green spaces like Shoal Creek, Pease Park and Zilker Park. Nichols graduated early so he could turn what would have been his final spring semester into a global adventure/DIY study abroad program. Nichols bought a one-way ticket to Asia—first visiting Singapore, then Vietnam and currently Thailand. Two months into the trip he already feels like a changed person. One lesson he’s learned from his travels ties back to his affection for hometown parks. If you’d like to create a fundraiser like Eric, Facebook makes it simple! Your friends and family can give in honor of your birthday, a pet’s birthday, an anniversary, or just because. Fundraisers like Eric’s help APF continue to provide access to safe, healthy parks for every Austinite, and every bit helps! Check out the fundraisers section of Facebook and follow the instructions to choose APF as your charity beneficiary. Once it’s all set up you can share the fundraiser with your Facebook friends, and let them know why parks are important to YOU!